What does a welcoming campus for alumni and community members look like? How do we want alumni and community members to experience IUPUI as a welcoming campus? 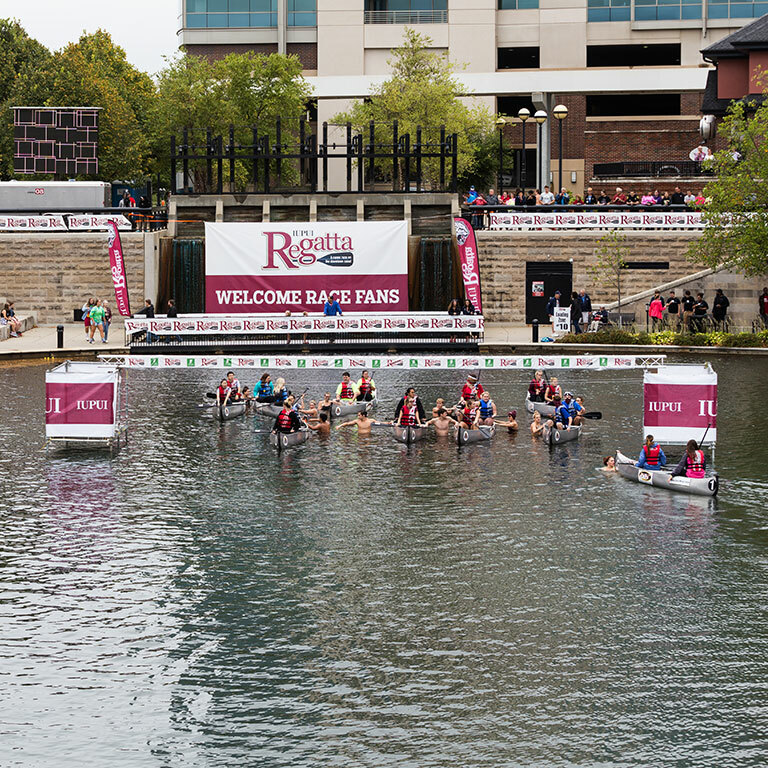 What are the present ways IUPUI provides a welcoming campus for its alumni and community members? How do our peers and other aspirant institutions create welcoming conditions for alumni and community members? Where are opportunities to strengthen or improve our approaches in welcoming alumni and community members to IUPUI? 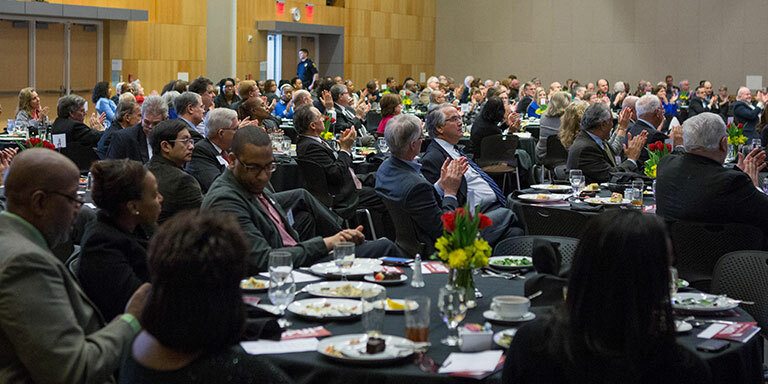 How can we foster a greater sense of community, connectedness, belonging, and pride in IUPUI by alumni and community members? In what ways can our policies, practices, and processes be enhanced to achieve a more welcoming campus experience for alumni and community members? How can our various units, offices, committees, and councils work with each other in order to strengthen our culture toward becoming a more welcoming place for alumni and community members? What are some indicators we should use to determine our progress and effectiveness toward becoming a more welcoming campus for alumni and community members? Specifically, what are some recommendations concerning things IUPUI should continue doing or consider changing to be a more welcoming campus for alumni and community members? What promotional mechanisms can we implement to demonstrate that IUPUI is welcoming? IUPUI is not an island unto itself. Rather, the location of our campus—in the urban core and at the center of the state’s population hub—provides unique opportunities, responsibilities, and vantage points by which to engage and serve our broader community. Economic development, prosperity, and competitiveness, healthy, safe, and sustainable neighborhoods, and individual and collective quality-of-life issues all require investments in educational attainment, from K-12 through higher education and beyond. 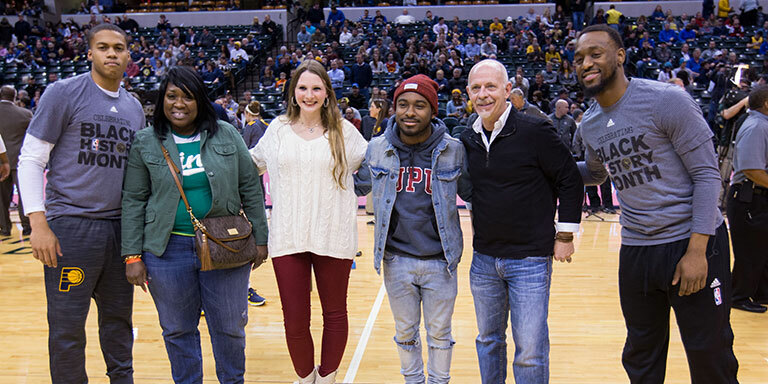 IUPUI’s role in the community is well-documented and well-recognized. This task force will focus on ways IUPUI can strengthen our connection to the community and to our alumni. This will require an understanding of what the community expects from IUPUI and how community partners access and use campus resource. In addition, with a strong alumni base in Central Indiana, IUPUI has an unparalleled opportunity to increase alumni engagement. Ultimately, by aligning the needs and interests of IUPUI alumni and the community with campus priorities, we can increase the potential for making IUPUI a welcoming campus for both groups.